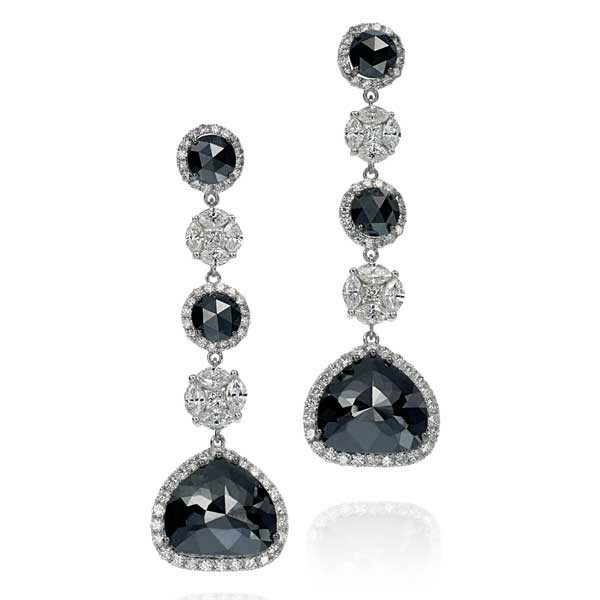 Assorted diamond colors and shapes make up this pair of striking drop earrings. Crafted in 18kt white gold, earring posts of round black diamond studs with white diamond halo descend to a round cluster created by small marquise-shaped stones. This pattern is repeated another time, ending with a larger, rounded triangle-shaped black diamond surrounded with white diamond halo. These earrings are imaginative, innovative and insanely eye-catching!